I’m excited to share that The Fierce Woman​ has selected Emani Davis as it’s third and last honoree for the 2016 FIERCE Woman of the Year award. Emani Davis is the co-creator and partner at Life.Beautiful Event Planning, serving Westchester County, NYC and the Tristate area. Over the years Emani has grown a commendable portfolio in social work relating to family counseling, rights of the child, rehabilitation and community leadership in New York and California. Staying true to her mission, Life.Beautiful is committed to serving clients whose work expresses the company’s commitment to social justice and equality. Prior to launching Life.Beautiful, Emani was an independent consultant, providing criminal justice related consulting services to various agencies and programs in New York and California. 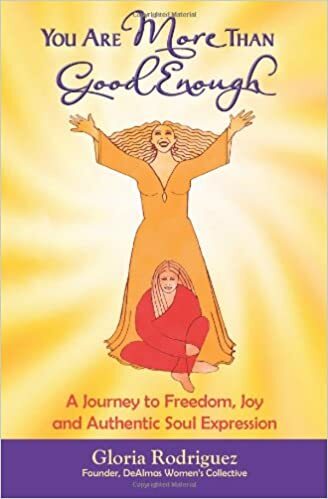 She has been an advocate for the rights of children of incarcerated parents and in 2004 was the first American nominated for the World’s Children’s Prize for the Rights of the Child for her work on behalf of children of prisoners. Emani has a Bachelor of Arts Degree in Sociology with a concentration in African Studies from Manhattanville College, NY, certifications in health education and massage therapy from the National Holistic Institute (2005, CA) and is a certified facilitator of Framework for Breaking Barriers and Framework for Recovery, cognitive restructuring programs (2006, Gordon Graham and Company). She has taught parenting classes for fathers in New York State prisons and Rikers Island, and in various prisons throughout the U.S. Her training and experience has helped her to successfully prepare incarcerated fathers to take a responsible role in raising their children from prison and following release. In addition to her academic and teaching portfolio Emani has led the implementation of new program initiatives nationally, including a mentoring program for children of incarcerated parents in northern California and a defender-based advocacy program for parents in San Francisco, as well as C.A.S.A.’s Project Family Connect in New York City’s Family Courts. She has provided a wide range of youth and children’s services in East Oakland and Richmond, CA including direct case management services, violence interruption, and gang intervention. Emani also provided training and technical assistance to the Oakland Police Department on youth violence related issues. “Representation is a form of social justice, but that is where we start, it is not where we end. In the event planning industry, there are few women of color. Therefore, when any of us do anything, we have to be responsible for the precedent we set. Still, we are able to infuse a knowing about the people that our clients serve so that we can create an experience that is culturally relevant and necessary. Thus, we must be thoughtful of the work that we do and share. At the same time, we align ourselves with causes we believe in; causes that make our communities and ultimately, the world, better and more inclusive. Every interaction we have with other women is based on possibility because we know that we’ve done something that many women do not give themselves permission to do. I never miss an opportunity to let a woman know that I am a business owner. I want women, especially women of color, to know that it’s for us, too. It’s not just reserved for well-to-do women. In doing this, I hope to inspire women to know that whatever their abilities and talents, business ownership is possible. We reject the gendered notion that women are supposed to think, live, dream and play small. Similarly, our intention and presence gives others permission to see themselves living out their dreams while using their gifts for the greater good. I started this business as a single mother. As mothers, we are now responsible for the lives of others. I know that this responsibility often discourages women from taking risks. But even through the fear and financial anxiety, motherhood can serve as motivation and inspiration to pursue your dreams. It makes me proud that my daughter is growing up knowing that her mother is a business owner. She is provided with a firsthand example of what fierce dreaming and goal setting can mean for her own life. 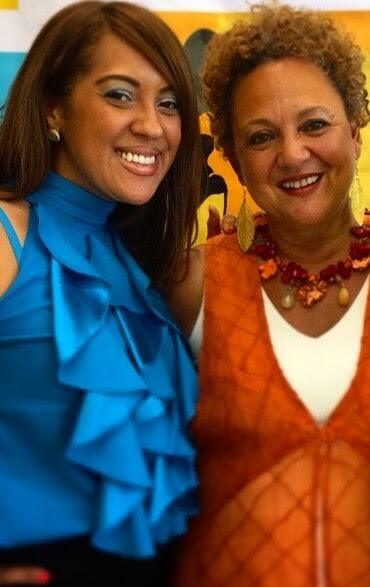 Gloria M. Rodríguez, is the Founder & Director of DeAlmas Women’s Institute, a community-based organization launched in 1998. Literally meaning “of the soul”, DeAlmas is dedicated to providing women the opportunity to reclaim, honor, and express their divine feminine gifts and human potential through spiritual and personal transformation. Ms. Rodríguez presents workshops, keynote addresses & lectures to national and international audiences at major colleges, conferences and retreats. Ms. Rodriguez is a tenured Professor of Psychology at Bronx Community College of The City University of New York and holds a Master of Arts in Counseling Psychology. Her interests and ongoing research include women’s, multicultural, spiritual, positive and transpersonal psychology. She is also a Certified Spiritual Life Coach. 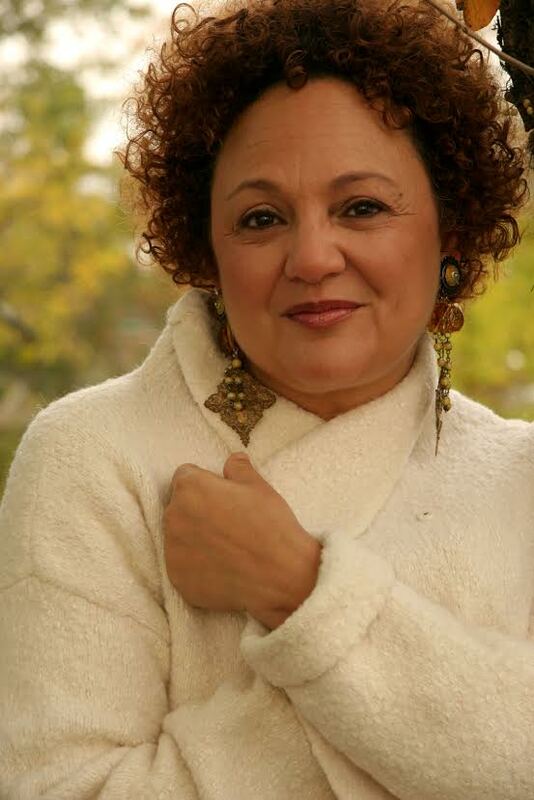 Gloria has authored articles for academic peer-reviewed journals and released her first published book, You Are More Than Good Enough in 2011, which won First Place awards in the Self-Help and Spiritual categories, and Second Place in the Women’s Issues category at The International Latino Book Awards 2012. She has received numerous community awards by various women’s and community organizations, most recently being honored by The National Puerto Rican Day Parade Committee, Dedicate to Educate, Inc. and The Caribbean Cultural Center African Diasporic Institute. Gloria practices New Thought/Ancient Wisdom teachings and is an initiate of the Diety Oshun in the Yoruba/Lukumi religious tradition. She is a mother and adoring grandmother. Gloria enjoys travelling, the arts, and experiencing the infinite beauty that exists within the global community. 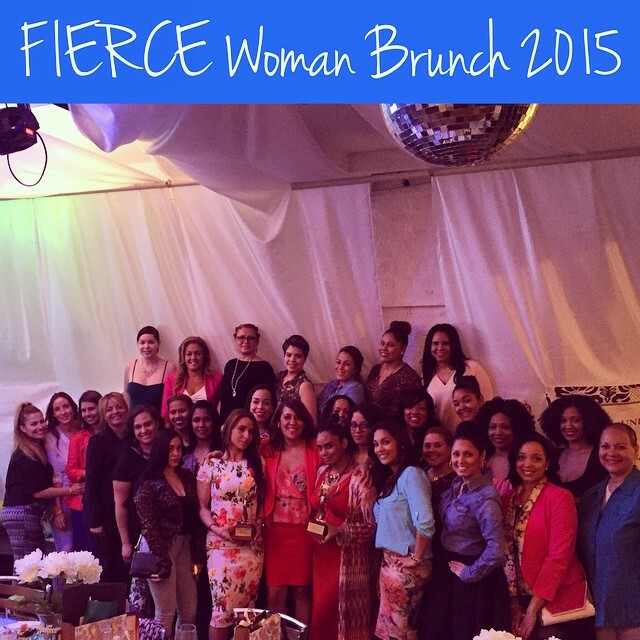 In 2014 I set out to create an organization for women by women designed to empower, uplift, and celebrate all the things that make us fierce, beautiful and different. For the past two years I have held workshops, brunches, and events that have brought women and girls from all walks of life, from all industries, and career levels together to learn from and celebrate each other. The connections that have been made through The FIERCE Woman is one of the reasons I created it. Though still in her infancy, The FIERCE Woman Foundation is committed to changing the way women perceive themselves and each other. We are an unstoppable force. We are mothers, wives, daughters, sisters, aunts, friends. We are business women, entrepreneurs, leaders, coaches. We are the alpha and omega. The beginning and the end. And for a very long time we have been taught to believe that it is almost impossible to have both successful personal lives as well as professional lives. I am here to tell you that it is possible to have both and to also live the life that you’ve always dreamed of because I am living proof. 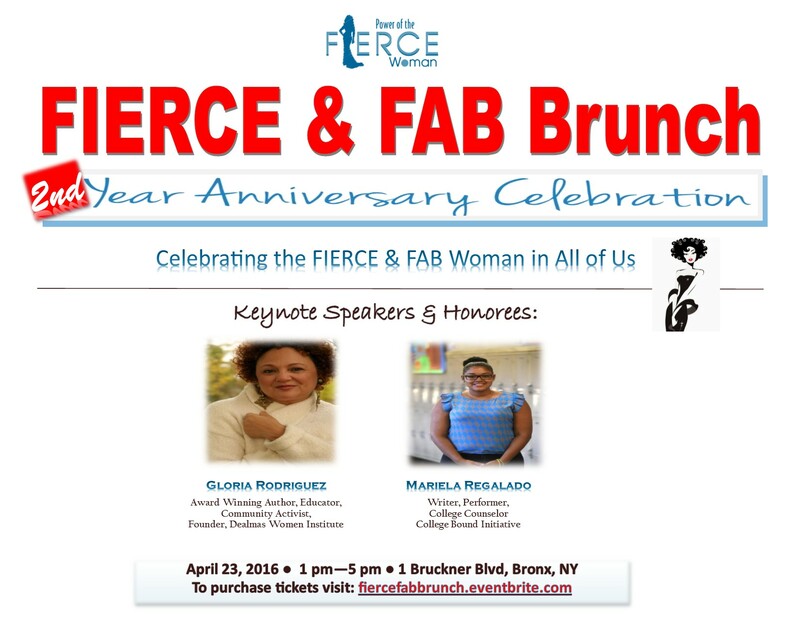 Please join me Saturday April 26, 2016 at the Mott Haven Bar & Grill as I celebrate the The FIERCE Woman Two Year Anniversary with a FIERCE & FAB Brunch & Awards Ceremony. This year’s theme is “Creating Legacies” because what we do and how we live our lives daily determines what our legacy will be. What will you leave behind for your children and your children’s children? What do you want your legacy to be? We have to start being intentional with our lives. We have to make every minute count. We must learn what it means to Live On Purpose with purpose. Women no longer have to choose between roles. We can do it all if we choose to. We will be honoring three phenomenal women who are making great strides in business and education and embody The FIERCE Woman mission and values. . These women are FIERCE women committed to education, community building, and creating a legacy of their own that will live on for many years. Our honorees will share their personal stories of success and they will wow you with their sheer will to get things done by any means possible. Where most people find an excuse they find solutions. They will share with you their pearls of wisdom on how to make it in business and succeed despite the challenges that we as women face. Your ticket includes a pre-fixed brunch and your choice of either unlimited mimosas or sangria (for the duration of the event), sweet treats provided by Cake Pops by Keyla, special gift bags and unlimited access to some of today’s most influential women in business. Bring your business cards and charm and be prepared to mingle with some very successful women. Please note that this is a FEMALE ONLY event. Thank you to all who have supported us these past two years. I look forward to seeing you all and celebrating this milestone with you. Something beautiful happens when you have the courage to live out your dreams. When you are doing what you love, life suddenly begins to have meaning. You finally realize what you were put on this earth to do and as I continue to uplift, inspire, and motivate others I find that I am also uplifting, inspiring, and motivating myself. This weekend was so full of love and inspiration for me. This past Sunday, April 26th, I spent the day celebrating the 1 yr. birthday of my other baby The Fierce Woman™ (TFW). What started off as just a vision/idea has turned into a passionate dream; one that I will continue to nurture and raise and love like one of my offspring. I could not have asked for a more perfect event. Everything and I mean everything went off without a hitch. The weather was perfect. The venue looked beautiful. The attendees showed up in all their fabulousness. The food and desserts were amazing. My honorees and speakers commanded the room and left a piece of themselves on the stage and in our hearts. They reminded us of the beauty, strength, and resilience we all possess. They reminded us that we are not what happens to us, but what we choose to become as a result of what happens. They embodied what being FIERCE truly means. Throughout the 3 hour event which included a cocktail hour, brunch, and awards ceremony the women mingled, networked and got to know each other. It felt like a family reunion. There was nothing but great energy in that room. When our honorees and keynote speakers took the stage each of them blessed us with pearls of wisdom. Latina techie and self-taught software engineer Raygrid Calderon reminded us that “You find yourself when you’re doing what you love.” Discovering your own passion and power is what our mission is. One will never truly be happy until you are doing what you love. Stop making excuses for why you can’t and start creating reasons for why you must. Maribel Rivera said it best “There’s no way you can have successes without failure.” In order to succeed you have to be willing to fail. But you also must know that even in failure there is a lesson. Figure out what went wrong. Create a better plan. Then put that plan into motion. Continuously repeat the cycle until you have reached your expected outcome. None of the great entrepreneurs became great overnight. It took commitment, dedication, persistence, and a relentless desire to succeed. Be relentless in the pursuit of your dreams. You’re worth it. I wasn’t always the confident and well put together woman that I am today. For many years I struggled with my weight (or lack thereof) and hated my thick unruly hair. My teeth looked like the jagged edges of a picket fence and I spent many days and nights wishing that I looked more like my sister who was petite, had long beautiful wavy hair and overall had more refined features. When I was about nine or ten my family and I were at an amusement park and as I proceeded to walk into the ladies bathroom someone had mistaken me for a boy. I was tall for my age, skinny, and my hair was cut into a curly afro because my mother either did not know how to manage it or simply did not want to. I really don’t know, but I remember shrugging the incident off at the time because I didn’t want anyone knowing how much it had hurt me. That event was something that I carried with me for a long time. My hair and weight are issues that I’ve spent the majority of my life battling. I’ve experimented with everything from jheri curls to relaxers to keratin treatments to weight gainers to drinking cases of Nutrament, Periactin (pills and in liquid form), even stuffing my face with plates of arroz con gandules. For most of my life I was as skinny as a twig and as flat as a board. I was genetically made up to be a slim woman and instead of embracing it I’d try hiding my slimness by wearing multiple layers of clothes. For the most part that was okay, except when summertime came around and the NYC humidity made it almost unbearable to wear anything let alone 3 or 4 layers of clothes. 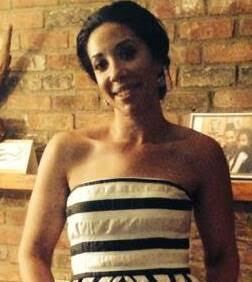 For a long time I tried everything to fit into the standard of beauty defined by society and by my family. Those little comments that they think are harmless can in fact become our inner voice and if we are not conscious of it can let it ruin our self-esteem and our lives. In my life, my mother and sister are always the first to let me know if I look too fat or too skinny, if my hair isn’t up to par, or if I’m wearing something that they disapprove of. Even when I’m lounging around at home my sister disapproves of the scarves I wear on my head; or the fact that I really enjoy wearing my husband’s pajamas instead of the typical female nightwear. To her, I should wear something more feminine. At 37 I’ve learned to silence the negative voices so now when someone disapproves of how I look or what I say I let it roll off my back. I’ve realized that whatever it is about me that bothers them is their issue not mine. It wasn’t always like this and it takes a strong sense of self and self discovery to not allow another person’s perception of us to define us. It wasn’t until I reached my thirties that I finally started to put on weight. Coincedentally (or not) it was until my thirties that I also finally started to love the skin I was in. When I turned 30 I decided that instead of focusing on those things that I wasn’t happy with I would instead focus on the things that I loved about me. I also decided that I would spend some time thinking about the things I didn’t like and ask myself why I had an issue with those things. Once I did that, I discovered that the things I thought I didn’t like about myself had all been issues that other people had with me. Once I realized that, I began releasing all my self-deprecating thoughts and behaviors. I started slowly loving myself and everything that made me uniquely me. I finally learned how to manage and love my beautiful thick hair and though I was still slim, I also learned to love my body. Once I started loving myself (flaws and all) I started feeling a lot happier and more confident. Now, every day that I awake I give thanks for all of the things that make me uniquely me revelling in the fact that there is no other person in this world like me. I wake up with purpose and with a desire to be my best self. It is what I hope to pass down to my daughter. I want to make sure that her inner voice reminds her of how beautiful she is even if she does look different. Today I along with relationship expert Sujeiry Gonzalez and meia personality Leticia Reyes had the opportunity to participate on a panel about self-love and being self-first. The most important thing that I believe I said to the students of St. Joseph’s College is that once you compare yourself to others you take away from your own uniqueness and the thing that makes you special. No one ever remembers the person that fits in. It’s the person that stands out that they won’t be able to forget. Embrace your individuality, it’s your trademark.